B.B King’s death struck me and many other blues lovers like a ton of bricks, particularly as it served as a bitter reminder that many of the legendary blues singers are aging and passing away. 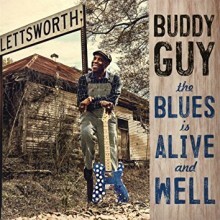 Buddy Guy is one of these aging bluesmen who still maintain an active schedule of recording dates and performances, continuing to maintain his legendary status even as a younger generation of musicians takes the genre’s reins. 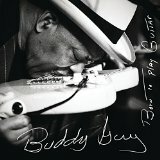 Guy’s Born to Play Guitar is the guitarist’s 28th studio album, and is arguably one of the best blues albums released in recent memory. 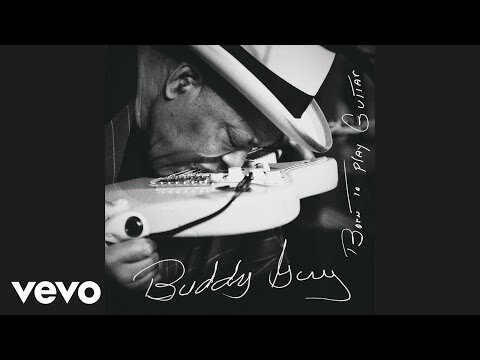 Buddy Guy is a well-documented road warrior, who still performs with the energy of a much younger man, at times outperforming musicians many years (or even decades) his junior. This 14 song collection documents the bluesman’s energy and includes several pleasant surprises, including guest appearances from Van Morrison, Joss Stone, Kim Wilson, and ZZ Top’s Billy Gibbons. The titular “Born to Play Guitar” sets the tone for the album, with Guy reminiscing about some of his earliest experiences as a performer. “Wear You out,” featuring Gibbons, showcases two music industry veterans trading licks back and forth, a fruitful collaboration that this reviewer would like to see more of in the future. Kim Wilson, the lead singer for The Fabulous Thunderbirds, plays harmonica on two cuts. Kim is likely one of the best blues singers or harmonica players in the business. For those not already familiar with Wilson’s group, the Born to Play Guitar cuts “Too Late” and “Kiss Me Quick” will likely inspire further investigation into his own back catalog. Other highlights include “(Baby) You Got What it Takes,” a soulful collaboration between Guy and Joss Stone, and “Flesh & Bones,” a moving song by Tom Hambridge, the drummer and producer of Born to Play Guitar, which is dedicated to B.B. King and features a heartfelt duet by Guy and Van Morrison. It is difficult not to recall instances in which Buddy and B.B. collaborated when listening to this heartfelt tribute. The album ends with a tune about another blues legend, Muddy Waters. In “Come Back Muddy,” Buddy reflects on their time together playing the blues circuit, with the song serving as a poignant reminder of another generation of great bluesmen. 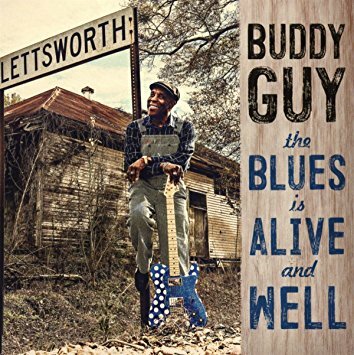 While Born to Play Guitar decidedly focuses on the past at times, Buddy Guy still has much to say with his music—it is safe to say that blues fans hope to have him around for quite a while longer.